In many ways, the Millennium Development Goals (MDGs) (2000–15) focused the world’s attention on the global challenge of development. While progress produced prosperity in the West and, more recently, parts of the East, it caused underdevelopment and poverty for the rest of the world. However, as 2015 – when the MDGs will lapse – approaches, there is growing realisation of how poorly MDG interventions were implemented, and the negative ramifications of this on Africa. Aware of their position as the biggest losers due to global failure to fully implement the MDGs, African states engaged on, and came up with, a common negotiating position on the Post-2015 Development Agenda. While this is a major step forward and demonstrates agency on the part of Africa, there are many hurdles that must be overcome for this achievement to result in prosperity for all. Principal among these is the current world system, which brought forth slavery, imperialism, colonialism and globalisation as successive orders. This system is a matrix of power that impinges on the dynamics of multilateral negotiations, the nature of international development assistance, and on Africa’s ownership of its own development. 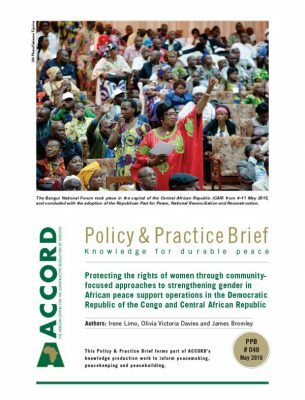 This Policy & Practice Brief critically discusses the Common African Position (CAP) on the Post-2015 Development Agenda against lessons learnt from operationalisation of the MDGs, particularly in light of the fact that a truly humanist future is nearly impossible in a neo-colonial world order. Few dispute the fact that Africa has been a victim of global progress,1 from the inception of the modern world arrangement in the 1490s, when Vasco da Gama circled its southern-most tip, to the post-Westphalian colonial expansion of Western nation states that encountered Africa through the curse of Berlin,2 and to the West-controlled UN-based order that produced globalisation. This is because while many things have changed in the system, the founding logic of one centre to which all must submit still haunts it. It is in Africa’s interest to realise the emergence of a post-colonial order, one which moves from ‘the world without us’3 to a world for all, and distances itself from the colonial modern idea of humanity that permitted genocides, slavery, colonialism, and capitalist exploitation under globalisation, to a decolonial cosmopolitan humanism.4 The continent is particularly interested in the outcomes of Post-2015 Development Agenda discussions. African states came up with the CAP to serve as the framework for coordinated inputs into negotiations on the Post-2015 Development Agenda which will succeed the MDGs after they lapse in 2015. The CAP is infused with hope for a new world paradigm in which development for all is possible. Adopted in early 2014, the CAP document puts forward Africa’s priority development goals – in the form of key pillars – for the future it demands of the world it has given so much to, and from which it has gained little more than enslavement, colonisation, and neo-colonial underdevelopment. 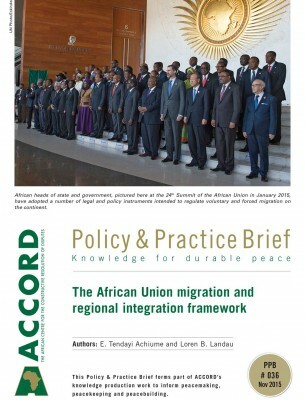 The CAP locates the Post-2015 Development Agenda in the pan-Africanist–African Renaissance equation by making it a means through which to achieve an Africa that is ‘integrated, prosperous, stable and peaceful’ and a continent that fully assumes its role in the global arena on the basis of its own development vision.10 Also, in this sense, the common position aims to foster the habit of Africa speaking with one voice and acting in unity when it comes to discussions and negotiations on the international stage. The CAP document underlines actors’ political will at home and external commitment to the international development agenda as critical for success. 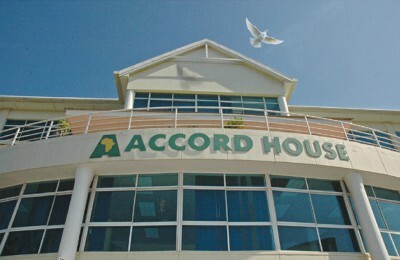 The pillar prioritising structural economic transformation and inclusive growth aims to move the continent from a narrow economic structure, epitomised by dependence on the export of primary commodities, the import of manufactured products and external economic assistance, to a diverse commercial arrangement characterised by industrialisation, value addition, revitalised service sectors and expanded technology divisions. Achieving this will require drastic action on the part of African governments if they are to successfully attract investment and build the necessary skills among citizens to sustain this transformation. Furthermore, boosting intra-African trade would require bold decisions and trade-offs between national sovereignty and pooled sovereignty – the kind of steps that African countries have been reluctant to take for decades now. The CAP places innovation at the heart of the transformative agenda, recognising the potential of technology and science to ease Africa’s integration into the world economy, to the advantage of many. The common position is that new economic models are premised on technological capacities acquired through transfer and diffusion from the broader international environment, and are a result of home-grown efforts. 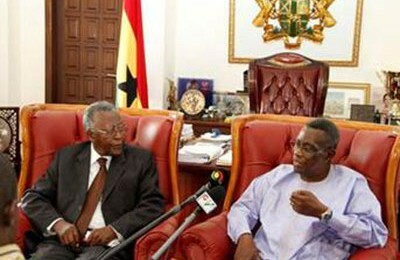 But, given that this trajectory presumes the existence of supportive educational systems, the presence of necessary infrastructure, and the availability of resources for research and development – the document is silent on how these are to be achieved – success on this priority will depend on how well the continent does with regard to the first pillar. Africa’s commitments are based on the premise that sustainable and equitable development can only be realised when people are the means and end of the economic growth process, when there is significant investment in human capabilities; particularly those of women and youth, who often form more than half of any population. The people-centred development pillar envisages poverty eradication as the natural outcome of empowering and capacitating citizens, and ensuring their access to opportunities and services. 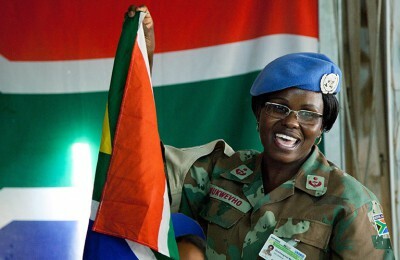 The CAP prioritises developing the capacities of women and maintains that achieving gender equality and the empowerment of women will require action in three areas: women’s access to opportunities and services; making room for women’s voices, choices, and representation in structures of power; and supporting women’s involvement in peacebuilding, conflict resolution and post-conflict reconstruction. There are opportunities to turn Africa’s population dynamics into advantages for development, but these require stronger commitment to empower young people. The CAP suggests that youth empowerment can be achieved through prioritising employment creation, skills development and support for entrepreneurship. These are not novel ideas, the continent has used them before to negotiate partnerships in its interest. 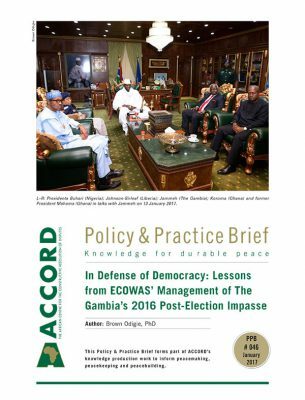 Accomplishing this goal, however, will require sustained political will on the part of African states and their partners. 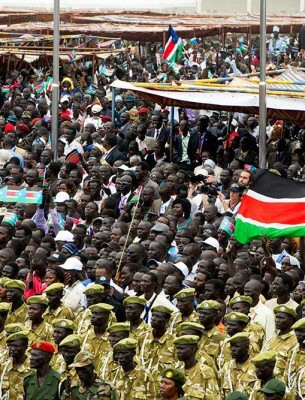 The CAP recognises that in spite of centuries of exploitation by external forces in cahoots with local elites, Africa still has ample resources to fund its complete turnaround. This is provided that the established patterns of economic imperialism in the international environment, and plunder on the domestic front, are transformed and a new mankind, whose ethics encompass fairness, justice, humanity and the common good, emerges. The environmental sustainability, natural resources management and disaster risk management pillar reaffirms established African concerns about restoring biodiversity and encouraging responsible use of natural resources for social and economic transformation. The CAP prioritises effectively addressing natural threats, such as desertification, and responding appropriately to the demands of climate change and its associated challenges. Work on this pillar would be done in partnership with relevant stakeholders, with efforts focusing on achieving fair and just solutions, within the ambit of the UN negotiations framework and on the basis of common, but differentiated, responsibilities. 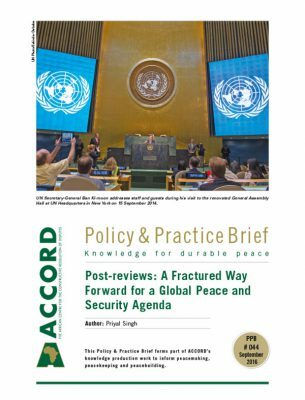 Initially listed as a supporting condition for development – a so-called enabler – in the final document peace and security are reflected as a stand-alone pillar, suggesting growing recognition of the fact that the issue has become so central to solutions of various challenges that it can no longer remain side-lined. 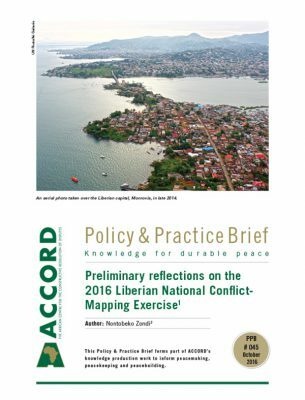 The CAP highlights the need to deal with the conditions that give rise to conflict – the root causes and triggers – over the long term. In this pillar, emphasis is placed on achieving peace in its most comprehensive form, rather than the mere silencing of guns. 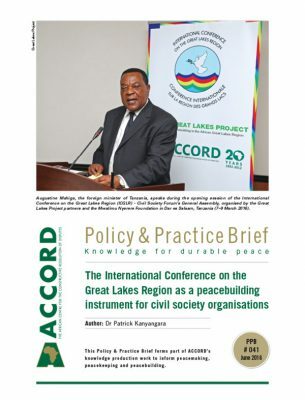 Peace and security are necessary for unlocking the potential of African societies, building unity and solidarity out of diversity, and strengthening inclusive and democratic governance. 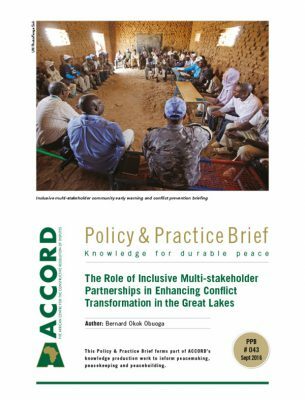 The CAP also highlights the importance of consolidating capacities for swift action in response to conflict outbreaks and requests for support in stabilising post-conflict communities. 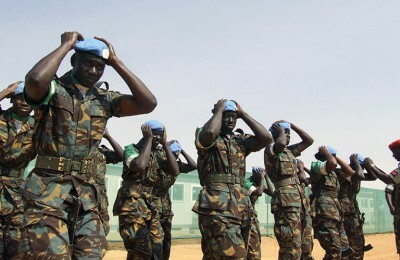 It will require significantly more decisive action than in the past to strengthen African security capacities and make it too costly for non-state armed forces to flourish on the continent. 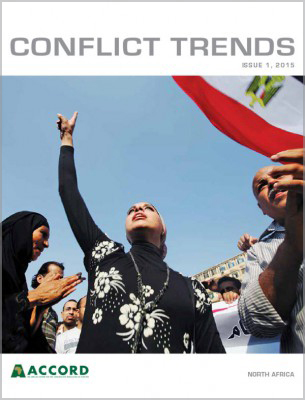 New trends, among them the growth of militant religious groups, are linked to the global war on terror and contestations for control of the Middle East, which pits global powers against increasingly assertive regional ones. 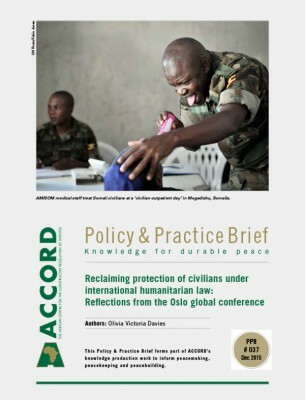 What happens at global level, and the choices that major powers make which contribute to the promotion of militarisation in Africa, will have a bearing on the continent’s ability to achieve peace and security. Lack of acknowledgement of this fact is one of the CAP’s weaknesses. That the CAP and the outcomes of the Post-2015 Development Agenda negotiations will need to be financed is obvious; it is much more complicated to figure out how they will be bankrolled, by whom and to what end. The CAP outcomes document correctly places emphasis on domestic resource mobilisation and applying innovative financing solutions to support implementation of the pillars discussed above. Consistent with the principles of self-reliance and sovereignty supported by Africa, the CAP document suggests that funding from donors would supplement available resources. Commitments by African states to financially contribute to the operationalisation of continental plans are not new, having been made for the Lagos Plan of Action for the Economic Development of Africa (1980–2000), the Abuja Treaty Establishing the African Economic Community (1991) and the New Partnership for Africa’s Development (2002). Africa, however, has largely failed to meet its obligations, falling time and again into the trap of dependence on donors. What will be done differently this time or, what would lead to different conduct this time are, therefore, legitimate questions in light of Africa’s track record on initiatives that precede the CAP. Clearly, Africa needs to give serious thought to the paradigm of development that it assumes, to ensure general acceptance of the sacrifices required to successfully generate the resources needed to implement the Post-2015 Development Agenda. How much global commitment to Africa? While mindful of talk of how the continent is used for neo-colonial purposes to advance the narrow national interests of developed countries, Africa is not naïve about needing development assistance to operationalise a new agenda. Remaining conscious of its tendency to produce incomplete results and, at times, even negative outcomes for beneficiary countries, African nations still expect financial aid to flow into the continent. African leaders know that too often, foreign assistance is easy money that promotes corruption, in both donor and receiving countries,11 and that it can distort economic activities, induce a culture of dependency in beneficiary states and a tendency towards paternalism on the part of donor countries.12 Yet, not only do they want aid to flow, they want it to pour in in even greater volumes to adequately support the achievement of African development priorities in the post-2015 period. 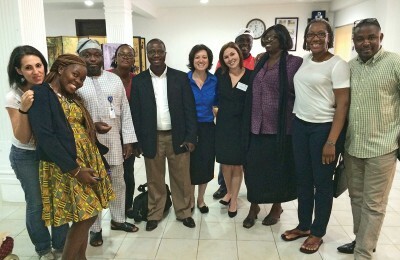 The CAP is categorical about the need for quantitatively and qualitatively refined development assistance. Proponents recognise that development aid is not a mere altruism, but that it is born out of a historical duty that developed countries have towards countries in need. The CAP expects wealthy countries to adequately support implementation of whatever commitments are agreed to. Africa is acutely aware of how insufficient and inappropriate resourcing of programmes undermined the spirit and goals of the Millennium Declaration, and left Africa behind on all counts in respect of achieving the MDGs. 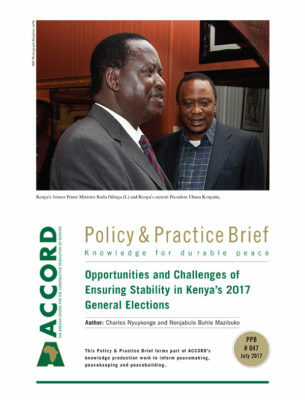 The CAP document maintains that ‘[w]hile Africa acknowledges its primary responsibility for the attainment of the MDGs, international partners also have a key responsibility to honour their commitments and support country-led strategies.’13 Africa expects quantitative increases in aid, but wants allocations to be done qualitatively better than was the case for the MDGs. To Africa, this means that development assistance must foster national ownership of development, instead of being a conduit for alienated, imposed and foreign paradigms of expansion. This is to demand the decolonisation of international development, to ask countries extending aid to forego opportunities to advance their national interests in the course of offering help. Expecting donor countries to altruistically relinquish this power and privilege may be unrealistic though. 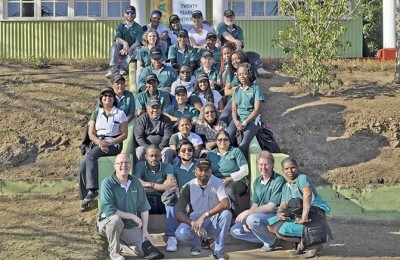 The CAP emphasises Africa’s primary responsibility for its own advancement. 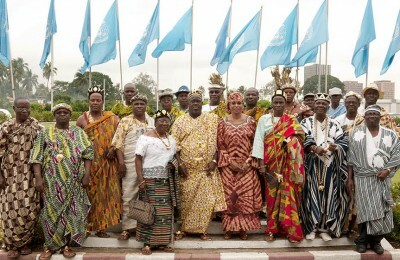 It accepts that no region or nation should place the burden of its development on others. The document commits the continent to serious structural economic transformation, the development of capacities, value addition, industrial and services sector expansion, the empowerment of women and youth, responsible and sustainable governance, innovation, and supporting advances in science and technology. 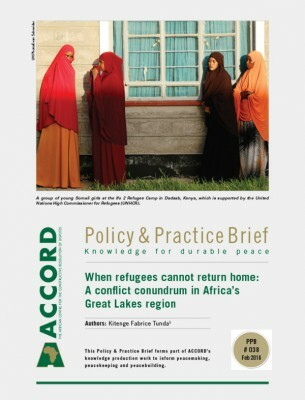 There are other factors which have a bearing on the extent to which Africa can benefit from its common position. These are discussed below. Common negotiating positions are not very meaningful in the absence of efforts to develop an institutional framework of norms, values, platforms and institutions to manage, coordinate and champion them. 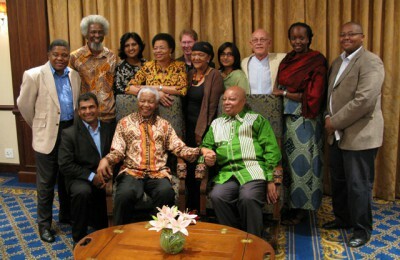 The establishment of the High Level Committee on the Post-2015 Development Agenda was particularly important in translating the CAP, which was mainly driven by technical groups led by the AUC and the United Nations Economic Commission for Africa (UNECA), into a political programme of African states. The committee, supported by corresponding meetings of ministers and senior officials, makes it more likely that the CAP will be embraced by political authorities and government bureaucracies and employed to achieve concrete outcomes from consultations on the Post-2015 Development Agenda. Negotiations during the sixth and seventh annual Conference of African Ministers of Finance, Planning and Economic Development of the Economic Commission of Africa, hosted in 2013 and 2014 respectively, elaborated ways in which governments would concretely implement the pillars.14 To support the proposed strategies, statistical experts were tasked with developing a watertight case for Africa’s financial requirements, factoring in what would be raised from domestic sources. There is concern that the tendency to narrow efforts towards specific goals, which weakened the MDGs, might undermine the impact that the Post-2015 Development Agenda could potentially have. While critics welcome the CAP’s emphasis on poverty eradication and human development as overriding goals, they are anxious that there might be attempts to reduce efforts to measurable levels of income and other metrics. Another challenge for the common position is that despite making poverty eradication and human development overarching concerns, the pillars do not suggest innovative thinking. Rather, the CAP is a consolidation of ideas adopted from dominant development discourses. If these treatises failed to lead to desired outcomes in the past, due to either the ease with which they can be appropriated by forces behind the status quo or because the right conditions for their success do not yet exist, the question is: will re-affirming them without changing the underlying conditions of failure produce the desired outcomes? Proposals for structural transformation and Africa’s desire for new partnerships indicate awareness of the deep-rooted basic factors that produced, and perpetuated, underdevelopment in Africa. Transformation would, in this case, mean altering the structures of power that condition human relations and hamper national development. These arrangements are simultaneously global and national, and not unrelated in the sense that the global environment that shaped the Africa of the past five centuries and produced slavery, imperialism, colonialism, and neo-colonial globalisation simultaneously produced the advantages of modernity for the West, and more recently, for other regions. This model of power produced entrenched hierarchies of race, class, identity and gender which result in prosperity for a few, and poverty for all at national level.16 While the structure of power relations permits deplorable and bare living on the periphery, it blesses the West with power and privilege. For this reason, it is not in the interest of the West to undo this and risk squandering its historical advantage. There is, therefore, urgent need for bolder expression of the desired transformation of the world system. This requires that a more radical version of MDG 8, which calls on states to develop a global partnership for development, be included in the African position. The CAP provides a useful frame of reference for the continent. The power dynamics that underpin global multilateral negotiations, however, do not permit countries to maintain their negotiating positions. Common positions protect the weakest countries from being overawed by powerful nations supported by bigger diplomatic delegations and teams of technical experts. Countries need a certain level of flexibility to successfully pool diplomatic resources with others, although this does not automatically guarantee success as the nature of negotiation makes it difficult to maintain fixed positions and still get the desired outcomes. 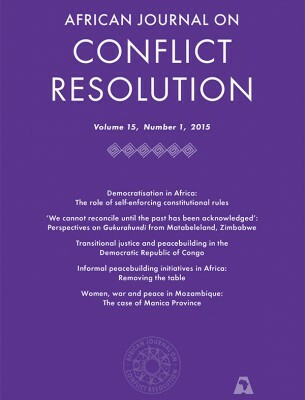 Lessons learnt from previous common negotiating positions suggests that African states need to ensure that the African Group in the UN can defend the agreed-on position and, where necessary, be flexible without being derailed completely. It is widely understood that the best way to maintain the CAP is to ‘sell’ it to other negotiating structures from the Global South; in particular the regional groups of Latin America, Asia and the Middle East, as well as the G77+ China. If Africa champions its priorities with these bodies, there is a chance that they could be integrated into the majority position during negotiations. The alignment between the AUC and regional economic communities is crucial to keeping the political legitimacy of the CAP strong as circumstances change. 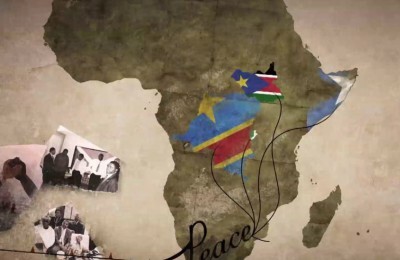 Too often, African unity on major global issues is easily broken due to long-standing neo-colonial linkages which allow major powers to use money, debts owed, agreements from the past, and cajoling and persuasion to cause countries to depart from a consensual regional or continental position. 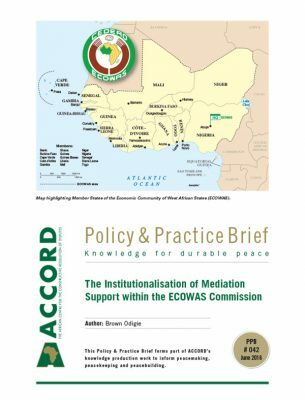 This is a major dilemma for the AU, which is closely related to the model of global power that permits the subordination of some states by others. To succeed in the UN-convened negotiation process, the AU must ensure that the CAP, or elements of it, are adopted by other negotiating platforms from the Global South, in particular the G77+ China and the Non-Aligned Movement. A special mechanism for initiating dialogue with the West, the main providers of development assistance to Africa, must be set up with a view to reasoning with them on the necessity of a new era of international development that benefits Africa. Ministers of foreign affairs must begin earnest conversations about how to practically pool diplomatic capital from the continent at negotiating tables, and then retain the cohesion of negotiating teams once discussions start. 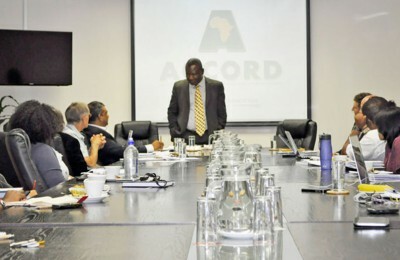 Africa organised itself sufficiently to have established a common position on the Post-2015 Development Agenda to enable states to negotiate with one voice on matters from which the continent has the most to gain. Whether or not the ideal is achieved, however, depends on a number of conditions that Africa itself must fulfil – although much more hinges on the transformation of the world system that reproduces poverty for many while generating prosperity for a few. The concept of ‘victims of progress’ was borrowed from John Bodley’s treatise of a scandal where Western modern civilisation promised progress for all but produced poverty, genocides, cultural murder and despair for the indigenous peoples of Africa, the Americas and Asia. See Bodley, J. H. 1999. Victims of progress. Philadelphia, Mayfield Publishing Company. See Adebajo, A. 2010. The Curse of Berlin: Africa after the Cold War. New York, Columbia University Press. See Chinweizu, I. 1975. The West and the rest of us. New York, Random House. See Mendieta, E. 2009. From imperial to dialogical cosmopolitanism. Ethics and Global Politics, 2 (3), pp. 241–58. African Union. 2012. Decision on Millennium Development Goals Report and Post 2015 MDGs agenda. Doc. EX.CL/736 (XXI) in Assembly of the Union, Nineteenth Ordinary Session, 15–16 July. African Union. Available from: <http://www.au.int/en/sites/default/files/Assembly%20AU%20Dec%20416-449%20(XIX)%20_E_Final.pdf> [Accessed 5 September 2014]. African Union. 2013. 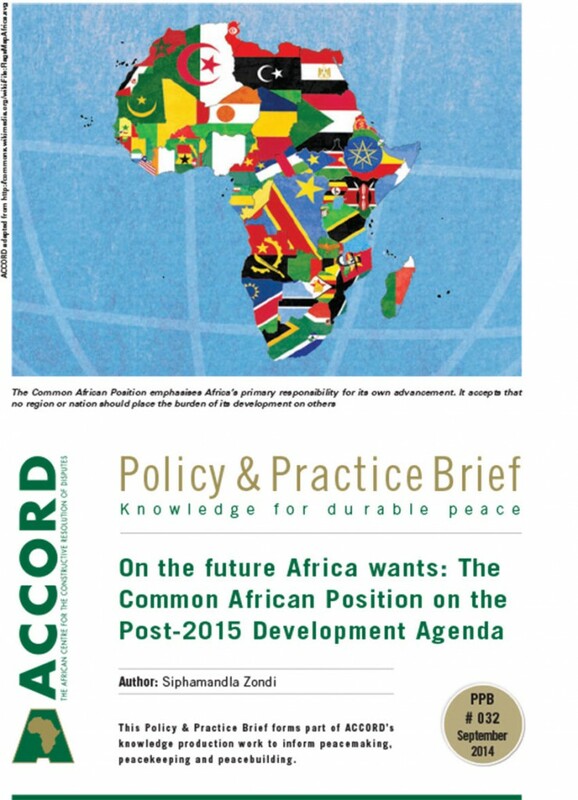 Decision on the African Common Position on the Post 2015 Development Agenda. Doc.Assembly/AU/10 (XXI) in Assembly of the Union, Twenty- First Ordinary Session, 26–27 May. African Union. 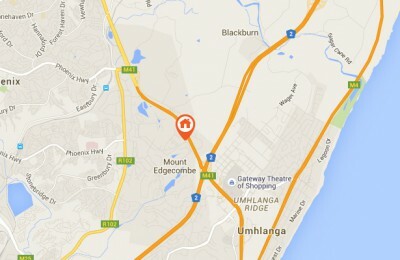 Available from: <http://www.au.int/en/sites/default/files/Assembly%20AU%20Dec%20474-489%20(XXI)%20_E.pdf> [Accessed 5 September 2014]. African Union. 2014. 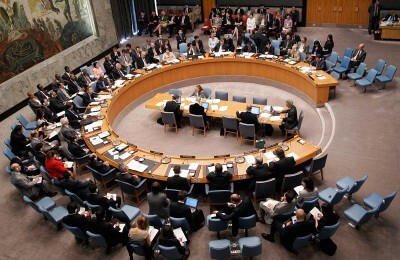 Decision on the Common African Position on the Post-2015 Development Agenda. Doc. Assembly/AU/9 (XXII) in the Assembly of the Union, Twenty-Second Ordinary Session, 30–31 January. African Union. 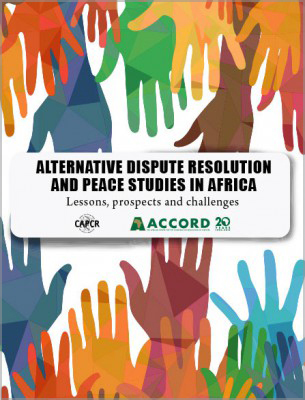 Available from: <http://www.africapartnershipforum.org/Assembly%20AU%20Dec%20490-516%20(XXII)%20_E.PDF> [Accessed 5 September 2014]. African Union. 2014. Common African Position on the Post-2015 Development Agenda, March. African Union. 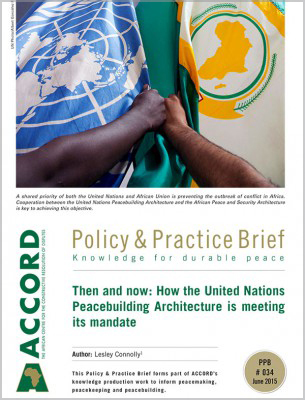 Available from: <http://www.nepad.org/sites/default/files/Common%20African%20Position-%20ENG%20final.pdf> [Accessed 5 September 2014]. For a more comprehensive discussion see Djankov, S., Montalvo, J. and Raynal-Querol, M. 2008. The curse of aid. Journal of Economic Growth, 13 (3), pp. 160–194. 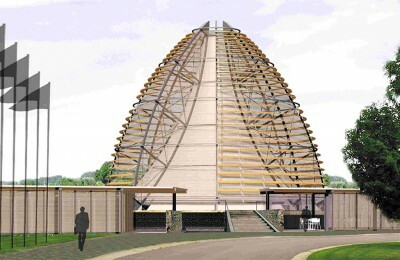 See Moyo, D. 2009. Dead aid: Why aid is not working and how there is a wetter way for Africa. New York, Farrar, Straus and Giroux. African Union. 2014. Common African Position (CAP) on the Post-2015 Development Agenda. op. cit. p. 4. United Nations Economic Commission on Africa. 2014. Ministerial statement. Seventh Joint Annual Meeting of the ECA Conference of African Ministers of Finance, Planning and Economic Development and AU Conference of Ministers of Economy and Finance, Abuja, Nigeria. United Nations Economic Commission on Africa. Available from: <http://ea.au.int/en/sites/default/files/Ministerial%20Statement%20adopted%20with%20amendments.pdf> [Accessed 2 July 2014]. United Nations Economic Commission on Africa. no date. 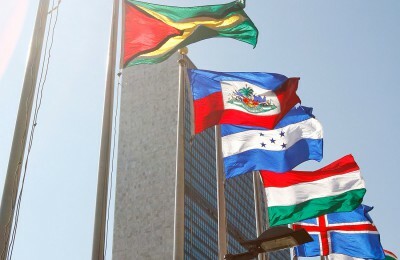 Outcome document of the regional consultations on the Post-2015 Development Agenda. United Nations Economic Commission on Africa. 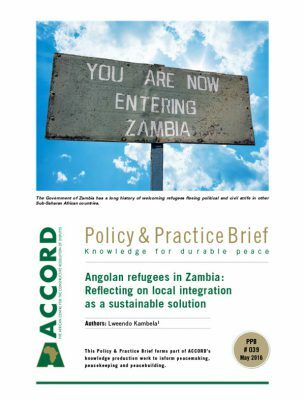 Available from: <www.regionalcommissions.org/africa2015.pdf> [Accessed 2 July 2014]. See Quijano, A. 2000. Coloniality of power, Eurocentrism and Latin America’. Nepantla: Views from South 1 (3), pp. 533–580.